Arthritis is a growing and leading public health concern in many developed countries. In the United States, it's the number one cause of disability, and its prevalence is rising due to the increase in obesity and age amongst the population . In fact, data from the CDC found that 22.2% (49.9 million) adults age ≥ 18 had self-reported doctor-diagnosed arthritis. 42.4% of these arthritis sufferers reported limitations in their daily activity level because of the disease. Arthritis is also an expensive disease, costing a total of $128 billion annually in the United States . Clearly, this chronic condition warrants serious attention in our efforts to prevent, limit, or even reverse the debilitating effects it has on individuals. Rheumatoid arthritis (RA) is one of the most common forms of arthritis (osteoarthritis being the other) and is characterized by an autoimmune reaction affecting an individual's joints . 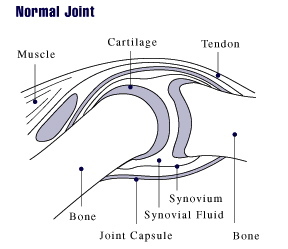 This process results in tenderness, pain, swelling, and stiffness in the affected joint(s). Over time, chronic inflammation from RA can lead to destruction of tissue and bone in and around the joint resulting in permanent deformities. 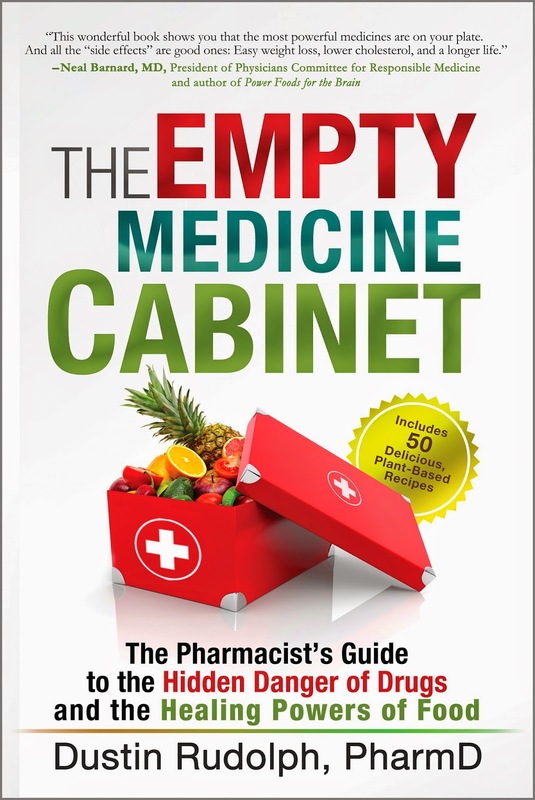 A continual reduction in one's quality of life is typically seen as the disease progresses. Some patients with advanced disease even struggle to tie their own shoes or button their own shirt due to the severe pain it causes. Many individuals end up having to quit work and go on disability for the rest of their life. RA literally devastates those it affects. Rheumatoid Arthritis - What Causes It? It wasn't until 1958 that the medical community had its first official criteria for the classification of rheumatoid arthritis . This was preceded by the work of Dr. Charles Ragan, a rheumatologist, who first developed the test for rheumatoid factor, one of the key biomarkers present in 70-80% of patients with RA. Since then only one other biomarker has been discovered to ascertain the prevalence of RA in patients—anti-cyclic citrullinated peptide antibodies (anti-CCPs). Anti-CCPs are present in 50-70% of patients with RA and, like rheumatoid factor, are predictive of more serious cases of RA with a higher degree of future bone erosions . Although having methods classifying the severity and prognosis of RA are useful, it does little good from a treatment aspect unless the cause of the disease is understood. 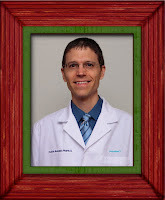 Over the decades following Dr. Ragan's work much has been done to link RA with a genetic cause . While it would be nice to blame everything on our genes current estimates suggests the risk of developing RA is only 50% determined by genes . Even if one is genetically susceptible to developing RA it is also well established that an antigen (foreign protein or "toxin") has to be presented to an individual's immune system in order to trigger the cascade of events resulting in rheumatoid arthritis . In other words, your genes play only a small role in whether or not you develop RA. Like many autoimmune diseases, RA is instead largely determined by environmental factors and how they interact with [and influence] the expression of your genes. Diet, smoking, and exposure to various infectious agents (viruses) have all been implicated as likely 'triggers' in the initiation process of RA [5,6]. Of these, diet is the major player and should serve as the cornerstone in any successful treatment program when treating RA. You'll learn more about diet and RA later, but, first, let's take a look at treating RA using the conventional route of medications. If you were to go to your doctor or other healthcare provider with a diagnosis of rheumatoid arthritis chances are you'll quickly be introduced to a handful of medications. Conventional medicine has turned to pharmaceuticals as first line therapy to try and combat this chronic, debilitating condition. The goal of treatment is to reduce symptoms (pain, swelling, etc.) and delay progression of the disease through the use of various classes of medications. These include 5 classes of drugs—opioid pain relievers (used rarely) and 4 mainstays of treatment (NSAIDs, corticosteroids, DMARDs, and biological agents). 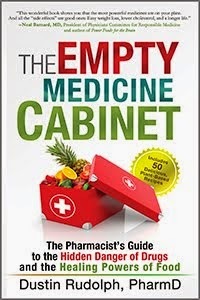 2) Non-steroidal anti-inflammatory drugs (NSAIDs) - Ibuprofen, Naproxen, Celebrex, etc. 3) Corticosteroids - Prednisone, Prednisolone, etc. 4) Disease-modifying antirheumatic drugs (DMARDs) - Sulfasalazine, Methotrexate, Hydroxychloroquine, Leflunomide, etc. In contrast to drug treatment, it is very rare that the newly diagnosed patient with rheumatoid arthritis is offered a solution to their problem using nutrition. 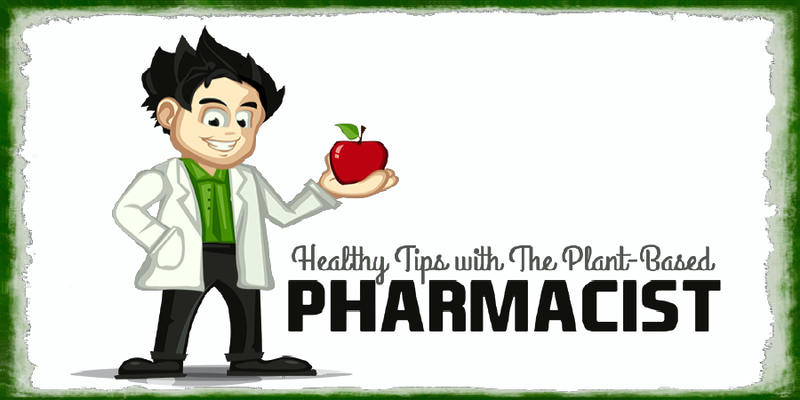 Being educated and trained as a clinical pharmacist, I was never taught about the link between diet and rheumatoid arthritis when I went through pharmacy school. Your doctors are likely to have been undereducated as well in these regards. Because of this, it isn't surprising when I hear or meet patients and fellow medical professionals who think treating and evening reversing a serious autoimmune disease, like rheumatoid arthritis, with diet alone is just plain absurd. It is not. In fact, a switch to a whole foods, plant-based diet should be the first line of therapy offered to patients faced with this dreaded disease. The earlier this is done the better chance of halting and reversing the damage resulting from RA. It was previously mentioned in the first part of this article that the introduction of foreign antigens (proteins or "toxins") into the body is responsible for the antibody formation and inflammatory process taking place in RA. These antigens come in the form of food in many cases. One of the primary food sources for these foreign antigens is animal proteins (cow's milk and meat) . However, in some cases gluten (wheat protein) has also been found to act as a foreign protein capable of producing an autoimmune response in patient's with RA . Studies have shown that cow's milk protein mimics proteins in our own body . As a result, the antibodies created by our immune system towards the cow's milk don't just attack the cow's milk protein (or other animal proteins), but they attack the tissues within the joints of RA patients as well. In essence, the body is literally attacking itself in its efforts to rid itself of the foreign proteins (antigens) consumed in the diet. Another possible aggravating factor originating from the diet is the release of vasoactive amines (histamine, serotonin, octopamine, and phenylephrine) from various food sources . These substances have been known to enhance the inflammatory process taking place in patients suffering from RA. Foods which have been link to this are pork, beef sausage, meat, tomato, spinach, shellfish, strawberries, chocolate, fish, coffee, alcohol, and citrus fruits . As you can see, treating RA with medications will never target the true cause of disease. This is why removing animal-based proteins (milk, meat, and all dairy) is crucial for successfully treating this debilitating illness. Red meat, meat and meat products, and total protein content of the diet have all been shown to be significant risk factors for the development of inflammatory arthritis . 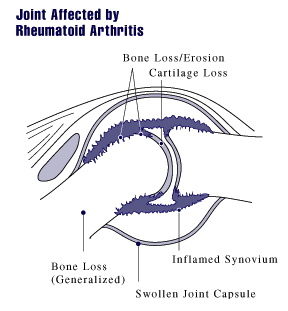 Eliminating animal products often does the trick in halting and reversing rheumatoid arthritis (as shown below in the video). If it does not to the trick for you then going on an elimination diet removing the remaining plant foods (citrus, tomato, wheat products, spinach, strawberries) my be something to consider. These plant foods can then be added back one at a time to see which ones cause troubling symptoms. In the end it all starts with what you eat, not with the false promises of medications and prescription drugs that've shown a poor track record in treating RA. There is simply no downsides to adopting a whole foods, plant-based diet. For more information on RA and diet read - Diet Therapy For The Patient With Rheumatoid Arthritis? 1 Centers for Disease Control and Prevention. Prevalence of doctor-diagnosed arthritis and arthritis-attributable activity limitation --- United States, 2007-2009. MMWR Morb Mortal Wkly Rep. 2010 Oct 8;59(39):1261-5. 2 Jung YO, Kim HA. Recent paradigm shifts in the diagnosis and treatment of rheumatoid arthritis. Korean J Intern Med. 2012 Dec;27(4):378-87. doi: 10.3904/kjim.2012.27.4.378. Epub 2012 Nov 27. 3 Harris ED Jr. Rheumatoid arthritis. Pathophysiology and implications for therapy. N Engl J Med. 1990 May 3;322(18):1277-89. Review. No abstract available. Erratum in: N Engl J Med 1990 Oct 4;323(14):996. 4 Barton A, Worthington J. Genetic susceptibility to rheumatoid arthritis: an emerging picture. Arthritis Rheum. 2009 Oct 15;61(10):1441-6. doi: 10.1002/art.24672. Review. 5 Edwards CJ, Cooper C. Early environmental factors and rheumatoid arthritis. Clin Exp Immunol. 2006 Jan;143(1):1-5. Review. 6 Haugen M, Fraser D, Forre O. Diet therapy for the patient with rheumatoid arthritis? Rheumatology (Oxford). 1999 Nov;38(11):1039-44. 7 Meyer O, Labarre C, Dougados M, et al. Anticitrullinated protein/peptide antibody assays in early rheumatoid arthritis for predicting five year radiographic damage. Ann Rheum Dis. 2003 Feb;62(2):120-6. 8 Whittle SL, Richards BL, Husni E, Buchbinder R. Opioid therapy for treating rheumatoid arthritis pain. Cochrane Database Syst Rev. 2011 Nov 9;(11):CD003113. doi: 10.1002/14651858.CD003113.pub3. Review. 9 O’Dell JR. Therapeutic strategies for rheumatoid arthritis. N Engl J Med. 2004;350:2591–2602. 10 Quan LD, Thiele GM, Tian J, Wang D. The Development of Novel Therapies for Rheumatoid Arthritis. Expert Opin Ther Pat. 2008 Jul;18(7):723-738. 11 Gorter SL, Bijlsma JW, Cutolo M, et al. Current evidence for the management of rheumatoid arthritis with glucocorticoids: a systematic literature review informing the EULAR recommendations for the management of rheumatoid arthritis. Ann Rheum Dis. 2010 Jun;69(6):1010-4. doi: 10.1136/ard.2009.127332. Epub 2010 May 6. Review. 12 Da Silva JA, Jacobs JW, Kirwan JR, et al. Safety of low dose glucocorticoid treatment in rheumatoid arthritis: published evidence and prospective trial data. Ann Rheum Dis. 2006 Mar;65(3):285-93. 13 van der Kooij SM, de Vries-Bouwstra JK, Goekoop-Ruiterman YP, et al. Limited efficacy of conventional DMARDs after initial methotrexate failure in patients with recent onset rheumatoid arthritis treated according to the disease activity score. Ann Rheum Dis. 2007 Oct;66(10):1356-62. 14 Galindo-Rodriguez G, Aviña-Zubieta JA, Russell AS, Suarez-Almazor ME. Disappointing longterm results with disease modifying antirheumatic drugs. A practice based study. J Rheumatol. 1999 Nov;26(11):2337-43. 15 Attar SM. Adverse effects of low dose methotrexate in rheumatoid arthritis patients. A hospital-based study. Saudi Med J. 2010 Aug;31(8):909-15. 16 AHFS Consumer Medication Information. Methotrexate. U.S. National Library of Medicine. Available: http://www.nlm.nih.gov/medlineplus/druginfo/meds/a682019.html. Accessed: 12 May 2013. 17 Doan QV, Chiou CF, Dubois RW. Review of eight pharmacoeconomic studies of the value of biologic DMARDs (adalimumab, etanercept, and infiximab) in the management of rheumatoid arthritis. J Manag Care Pharm. 2006;12(7):555-69. 18 Singh JA, Christensen R, Wells GA, et al. Biologics for rheumatoid arthritis: an overview of Cochrane reviews. Cochrane Database of Systematic Reviews 2009, Issue 4. Art. No. : CD007848. DOI: 10.1002/14651858.CD007848.pub2. 19 Singh JA, Wells GA, Christensen R, et al. Adverse effects of biologics: a network meta-analysis and Cochrane overview. Cochrane Database of Systematic Reviews 2011, Issue 2. Art. No. : CD008794. DOI: 10.1002/14651858.CD008794.pub2. 20 Lidén M, Kristjánsson G, et al. Self-reported food intolerance and mucosal reactivity after rectal food protein challenge in patients with rheumatoid arthritis. Scand J Rheumatol. 2010 Aug;39(4):292-8. doi: 10.3109/03009740903379630. 21 Winer S, Astsaturov I, Cheung RK, et al. T cells of multiple sclerosis patients target a common environmental peptide that causes encephalitis in mice. J Immunol. 2001 Apr 1;166(7):4751-6. 22 Pattison DJ, Symmons DP, Lunt M, et al. Dietary risk factors for the development of inflammatory polyarthritis: evidence for a role of high level of red meat consumption. Arthritis Rheum. 2004 Dec;50(12):3804-12. 23 Finn R. Pharmacological actions of food. In: Brostoff J, Challacombe SJ, eds. Food allergy and intolerance. London: Baillière Tindall, 1987:425–30. 24 Haugen M, Fraser D, Forre O. Diet therapy for the patient with rheumatoid arthritis? Rheumatology (Oxford). 1999 Nov;38(11):1039-44.
very impressive! Veganism is our future. It's so clear to me. The Incredible, Edible Egg or Not?